What in the world would you do if an elk found its way into your basement? Sounds like something that would never ever happen, right? Wrong! This was a very real event for a family in Idaho. Because of the amount of snow fall in the area, Elk were finding their way into the valley looking for food. This elk just happened to find its way in a families basement in the middle of the night. In January, an elk came crashing through basement window by accidentally stepping on a brittle window well cover. The beautiful animal was estimated to be 600 pounds! Can you imagine a 600 pound animal crashing into your window and staring right at it? A frightening thought, huh? The elk only had a very minor cut thankfully, but this is the last thing Matt (homeowner) thought he would wake up to. After a couple hours of the Idaho Department of Fish and Game trying to get the elk out of the home, they finally got her up the stairs and out of the home safe and sound! Not wanting this to happen again, Matt called the Window Experts in need of a window well cover with strength! 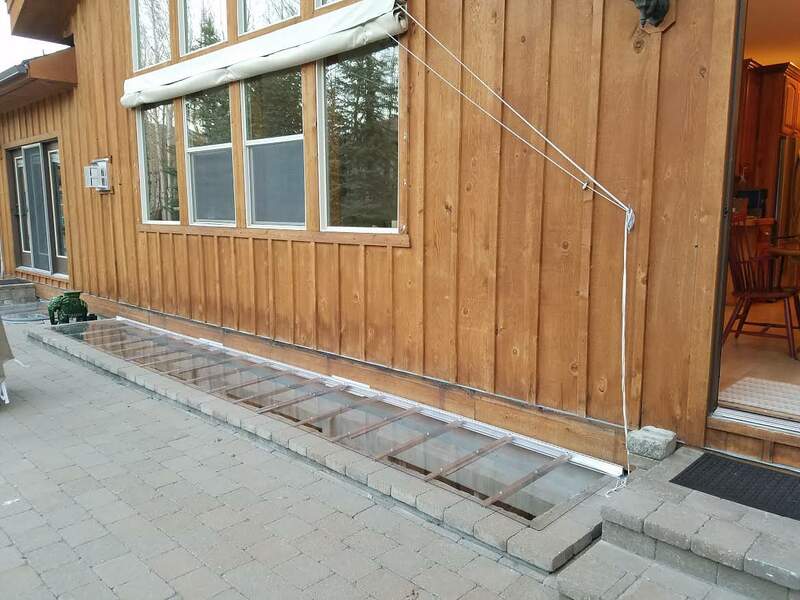 He knew he could trust us with the most durable window well cover out there. We happily built Matt a custom window well cover to protect this large window well. He won’t be expecting any elk visitors through his window anymore! The window well cover that the elk easily broke was made out of plexiglass. 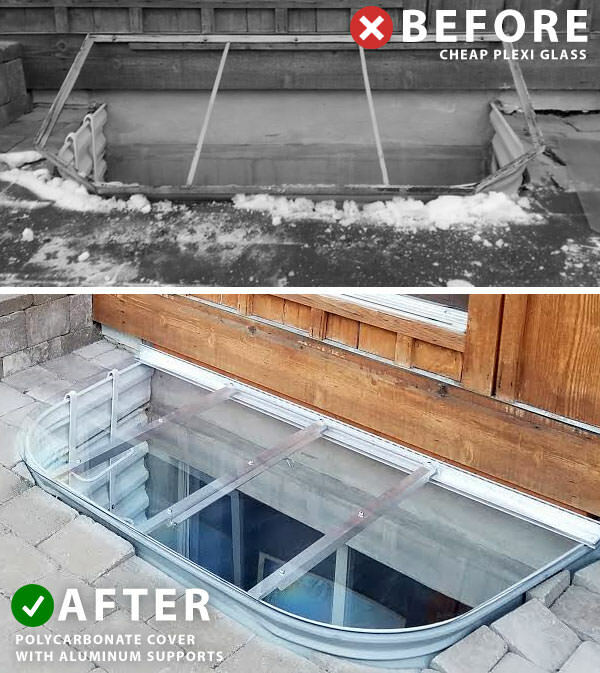 Plexiglass easily breaks under pressure, which is why we don’t trust it with our window wells. It makes sense why the big box stores use them, it’s cheap! As we all know, cheap isn’t better. You can make more of the product, but the quality suffers greatly. Safety is the number one thing that matters to us when building our products. We use industrial strength polycarbonate to make our window well covers for that reason. We also customize the window well covers to your exact window well measurements. This ensures safety even more because a window well cover isn’t strong is there is any gaps around the window well. Not only will our window well covers keep elk out of your home, but other animals as well! Another focus we have is keeping your children and pets safe. Our durable window well covers will keep your children and pets from falling in and hurting themselves. They are a must for your families safety. Even though this story may be funny, it’s a serious matter. The elk left an expensive disastrous track breaking a window well and the window well cover. Keep random items, animals, and other miscellaneous products out of your window well for good by picking a trusted name!